What do good teachers do? What strategies are most effective at helping students learn? This has been the subject of thousands of studies over many decades, and it can be hard to really focus in on what teaching strategies are most effective. Problem or Task-Centered - Students learn more when they see real-world examples and solve real-world problems or tasks. Activation - Students learn more when they actively consider what they already know about a topic and relate what they learn to what they already know. Demonstration - Students learn more when the learn relevant knowledge and skills in the context of a real-world task or problem. Application - Students learn more when they apply what they have learned in a real-world context and receive feedback and guidance on how their performance. Integration - Students learn more when they are directed reflect on, discuss, debate, present on, or plan how to use new knowledge and skills. First Principles of Instruction (Merrill, 2002). My public speaking teacher, Karla Bassett, used these principles when she taught us how to speak. She provided us with a structure for giving speeches (activation). She showed many videos and personally demonstrated the principles and skills of public speaking (task-centered, demonstration) and also had each student perform multiple speeches (application) and gave us feedback on our speeches. This task-centered approach gave me a deep interest in communication and speaking and I went on to earn a bachelor's degree in communication. My Spanish teacher, Carolina Bond, used these principles in class by speaking Spanish throughout the class (task-centered, demonstration, application) and by having us build vocabulary and use sentence structures in real-world scenarios (application). These courses prepared me to later speak Spanish as an English teacher in Guatemala. Later as a graduate student, my Qualitative Methods instructor Dr. Sherry Marx shared many real-world examples (task-centered, demonstration) of how she and others had conducted research and directed me and my peers to conduct multiple full-scale studies on our own (application). 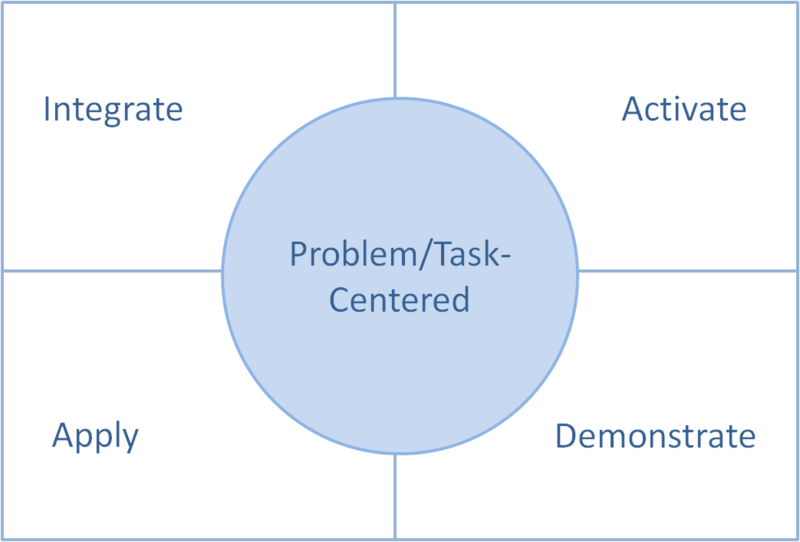 This task-centered approach to learning gave me an incredible learning experience and I was able to later publish the results of that research. How Award-winning Professors in Higher Education Use Merrill’s First Principles of Instruction. These are just a few examples of how these principles can be used. I believe that if you reflect on the most meaningful formal learning experiences you had as a student, you would find that the instructor used some or all of these principles effectively . So, the question is, do you agree that these truly are the First Principles of Instruction? Or are there other principles that are more foundational than these? Are there other principles that enhance learning more than these? What do you think? Some of the perfect paraphrases could let you think about how beautiful that writing is and you can simply click for more info to check those perfect writings with useful paraphrasing. There have so many sites on the internet but you can really get used to with the personal writing in here http://www.personalstatementeditors.com/how-to-edit-personal-statement/ as it is the best within those sides. LEarning from such strategies are extremely best experience. I think we have to follow the link and must see how things can be go better. This is impressive job to enhance your knowledge on what you believe. There are many ways to get information from online reesources so get what you want frmo https://www.writemyresearchpaper.com/help-with-a-research-paper-written-in-bottom-line-up-front-format/ and love it.